Yesterday, I received the new issue of BAR, which is the annual “Dig Issue” – in which there is information on the various excavations in the near east looking for volunteers. 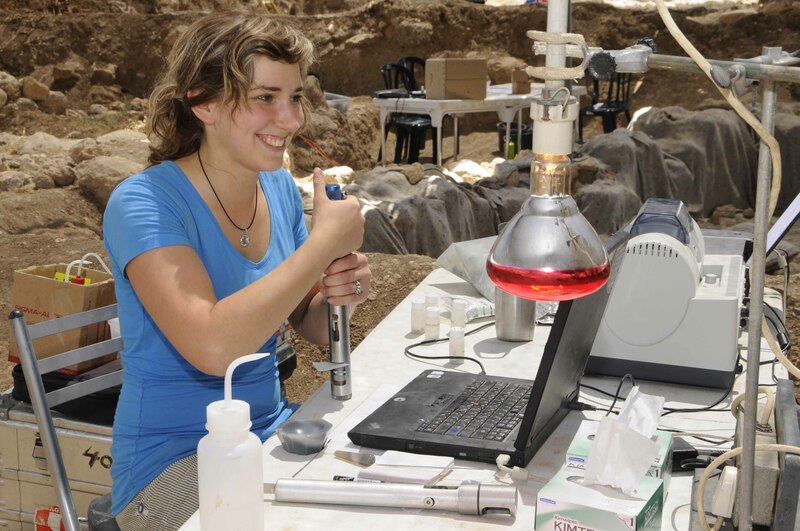 Needless to say, Tell es-Safi/Gath was among the digs (remember – join our team – we excavate from June 30th to July 26th!). Although I had provided BAR with a lot of photos, all we got were two (and not even on the front cover…), but nevertheless this was nice. This included the great aerial picture of the team at the end of the 2012 season in the shape of a bird (which I had put on the blog before), and very nice picture of 2012 team member Zane Stepka, working in the field archaeological science lab. In addition, I had a bit of a surprise when I saw that BAR quoted a section of a book review that I had written this year, turning it into a heads-on confrontation between Philip Davies and yours truly. I guess they need some artificial excitement such as this to sell magazines… :-) (here’s the review, in any case). New volume on the Cemetery of Azor is out! They chose two nice pictures for the issue. I really like the bird picture, and the one above is a great example of some of the more technical aspects of work at a dig site. I am now diagnosed with a matasticised Squamous Cell Carcinoma which has become quite large rapidly on my neck. I start chemo/radiation shortly, and the reason I am sharing this is that the posts you share are a great delight to me, and I will so enjoy reading every one of them during my lull in activity/down time. Thank you for your wonderful posts and updates! I thrive on them! First of all – here’s wishes from me and all the Safi team for a speedy and easy recovery. As the most loyal reader and responder to the blog, I of course will continue to post, keeping you in mind. And, if I may add, I’ll pray for your speedy recovery – and as we say in Hebrew – רפואה שלמה (= full recovery)!!! !